Facilitating camps and discussions allows us to bring the game to life by responding to the global issue of violence against women and girls in a new and creative manner that reflects a connection between the latest technology and social challenges. By recreating activities from the Facilitator’s Guide and discussing the issues around gender-based violence brought up in the game, the BREAKAWAY camps raise awareness and educate children about the issue. Children are involved in dialogue, discussion and exercises about the game and its message that encourages children to speak their minds about the message of the game and women’s rights. Games model behavior and encourage change from within by presenting the opportunity for the player to think critically about actions and reasons. By profoundly shifting beliefs, stereotypes, and attitudes on gender issues, games move from a curative to a preventive approach. The BREAKAWAY Camp makes addressing the sensitive issues that comprise gender-based violence approachable for young people. We combine technology (football-themed electronic gameplay) with group activities and facilitated discussions in an exciting and creative manner attractive to young people. The program is flexible, so we can tailor the camp experience to your community. Introduce the game and its message to the largest possible number of children. Create an ideal environment where children learn the game rules, play the electronic game, and enjoy various activities that support the message of the game. Encourage dialogue and facilitate discussion between children about the game and its message in a way that allows children to speak their minds about issues of gender equity, bullying, and gender-based violence sparked by the BREAKAWAY game narrative. In 2012, Champlain College student Mahmoud Jabari had the vision to turn the BREAKAWAY game andFacilitator’s Guide into a summer camp. With his exceptional hard work, he brought BREAKAWAY to hundreds of youth in Hebron, Palestine. 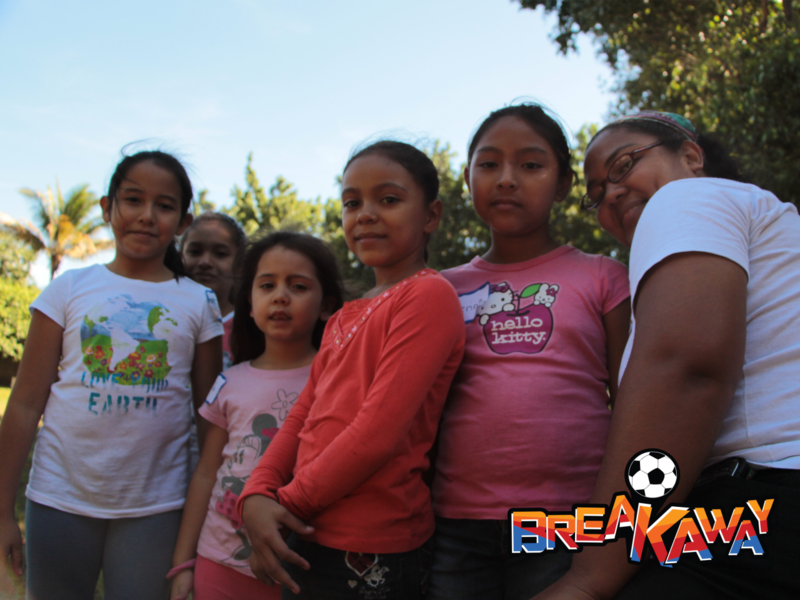 In 2013 and 2014, the BREAKAWAY team joined with the United Nations Development Programme and the University of Sonsonate to host two youth camps in western El Salvador based off of a model used in the summer of 2012 in Palestine. Local university students were trained as facilitators to lead young campers through gameplay, discussions, worksheets and interactive activities to evaluate the game. 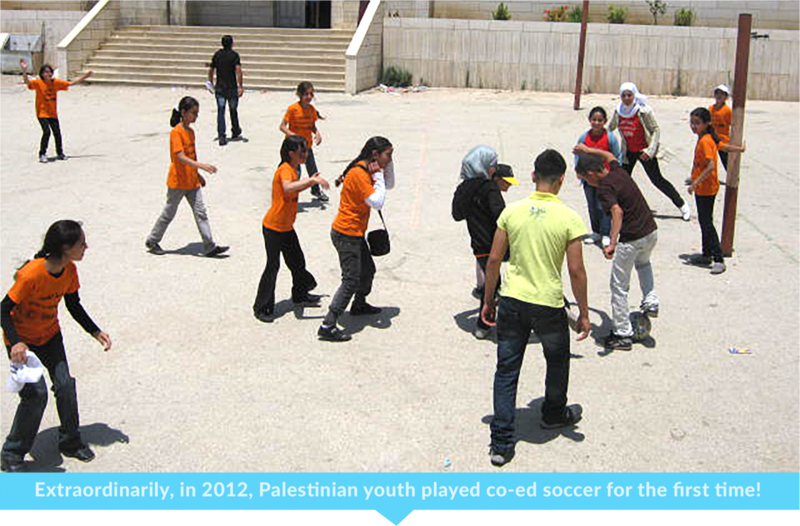 Palestinian youth played co-ed soccer for the first time. “We [the facilitators] were able to see the children have a better understanding of gender rights and why girls have the right to play and be equal as boys. We had never before seen this kind of discussion taking place among children and teenagers,” said Mahmoud Jabari, a Champlain College communications student from Palestine who led the first BREAKAWAY international camp trip. “By concluding this project, we record Hebron as the first city in the Arab World to receive and implement this educational game that conveys a universal message and is designed to raise awareness about the issue of violence against women,” Jabari continued. Through three camps, 300 Palestinian children were exposed to BREAKAWAY. Upon learning of Jabari’s success of initiating the BREAKAWAY summer camp model in his home community of Hebron, Palestine, graphic design student and EMC student employee Mariana Herrera knew she wanted to bring BREAKAWAY camps to El Salvador. Herrera, a native of El Salvador, states that she wanted “to bring BREAKAWAY camps to El Salvador because it is a project that takes video games, a medium that kids love but often portray violence, and instead use them to shape attitudes and actions to end violence, particularly violence against women and girls.” In addition, El Salvador has one of the highest per capita rates of femicide in the world. 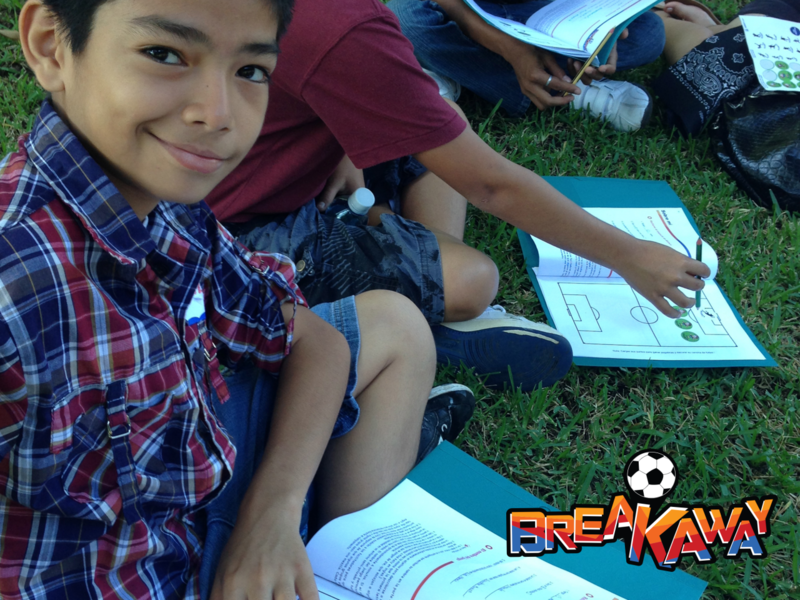 In 2013, the BREAKAWAY team joined with the United Nations Development Programme, the University of Sonsonate and the Network of Municipalities in Sonsonate to host two youth camps in based off of a model used in the summer of 2012 in Palestine. Local university students and community leaders were trained as facilitators to lead young campers through gameplay, discussions, worksheets and interactive activities to educate youth about violence against women and girls. Much like the successful Hebron camp model a year prior, where facilitators used the game to engage youth in deeper conversation around the issue of violence against women and girls, the cohort of undergraduate and graduate students, faculty, staff and alumni from Champlain College assisted Herrera in conducting facilitator trainings to 40+ volunteers and lead camps for 60 children in Sonsonate, a western region of El Salvador. After the positive response from partners, facilitators, and camp participants in the 2013 El Salvador camps, the BREAKAWAY team successfully raised funds to return to Sonsonate in December of 2014. Again, the BREAKAWAY team was welcomed at the University of Sonsonate, where over 50 facilitators were trained and 100 kids participated in a 2 day BREAKAWAY facilitator training and 4-day youth camp model. Facilitator interest and motivation might lead to the implementation of future camps in Sonsonate and BREAKAWAY being used in some educational institutions. In the future the BREAKAWAY team wants to establish new partnerships and host these educational camps in other locations around the globe to spread their important message of peace and equality.